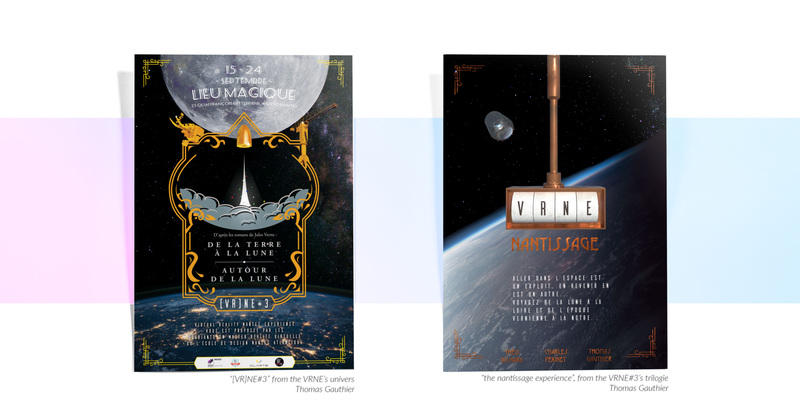 For three years now, VR Master's degree students from the Ecole de Design Nantes Atlantique have been conceiving immersive experiences around the universe of Jules Verne, which are showcased at the Nantes Digital Week, a major French event about digital culture. Here is the story of my team project from last year. 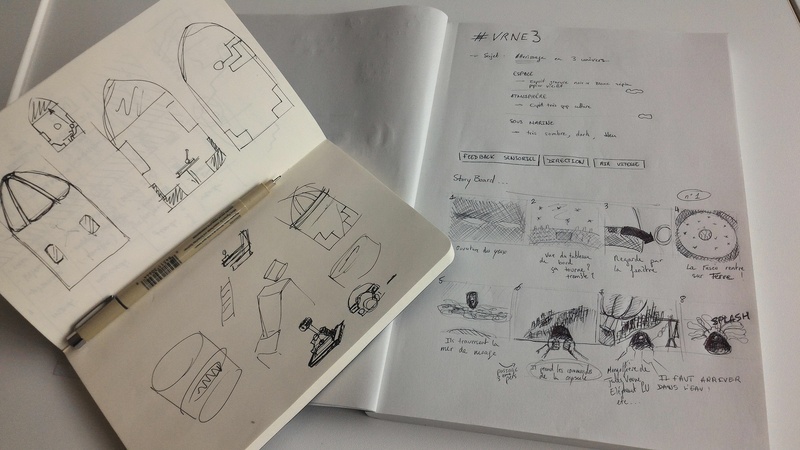 For this project, we have been inspired by Jules Verne’s journey to the moon described in his two novels "From the Earth to the Moon" and "Around the Moon". It is the story of crazy weapon manufacturers who decided to send a few people to the moon using a giant cannonball. As a group of 10 students, we splitted the journey into three parts: take-off from earth, orbit around the moon and landing back to earth. We developed the last one. 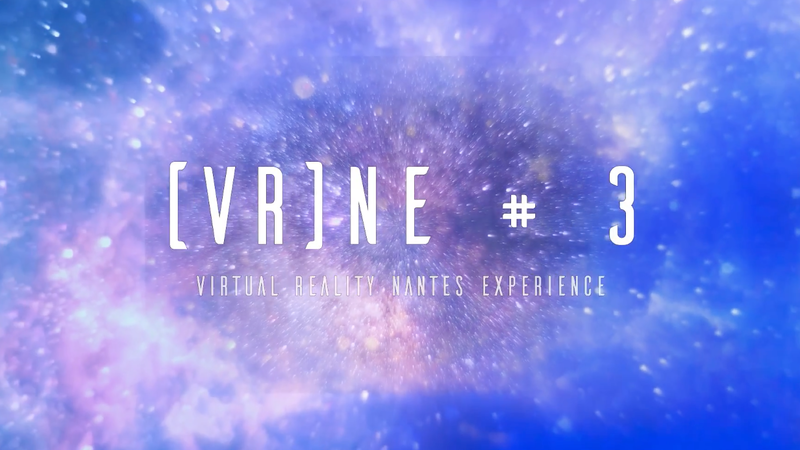 VRNE#3, for Virtual Reality Nantes Experience was tested by hundreds of users during a week. After studying the novels, we did some research about the broad universe of Jules Verne. We created moodboards to define the graphic identity of the project. Then, we came up with concepts to turn this landing into an unforgettable experience. As the novel does not give a lot of details about the trip back to earth, except for the sea landing, we had a lot of freedom. In our limited 2-minute time frame, we wanted the user to travel as much as possible. Our landing is divided in three parts : space, atmosphere and underwater. To achieve this journey, you will have to bring the spacecraft through the gates. This is the main gameplay mechanic. If you come on board with us, you will not land near Baltimore as described in the novel but on Nantes’ river. 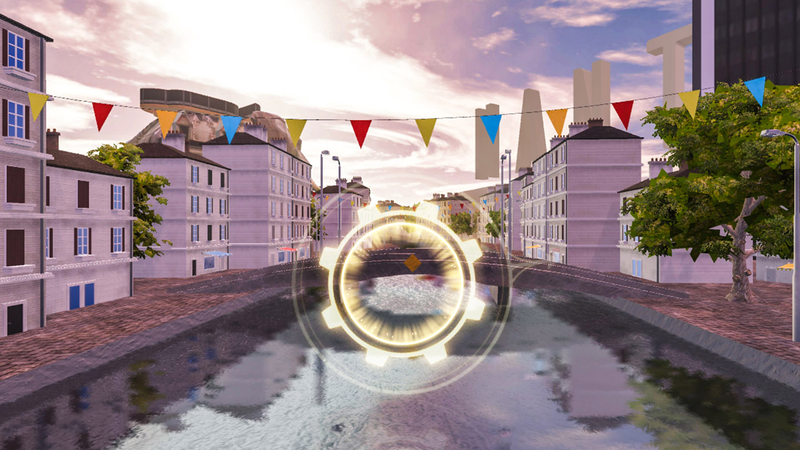 This is a way to include our experiment in the Nantes Digital Week festival. We designed a seamless multi-environment experience using inspiration from Jules Verne’s literature. In order to prevent motion sickness for first-time VR users, the story goes from calm to intense. L’École de Design Nantes Atlantique partnered with a magic theater named Le Lieu Magique to exhibit our installation. As virtual reality has not fully reached the mass market yet, it is our chance to communicate about this emergent technology. As immersion does not start in VR, we created a scenography to create a seamless transition from real to virtual.